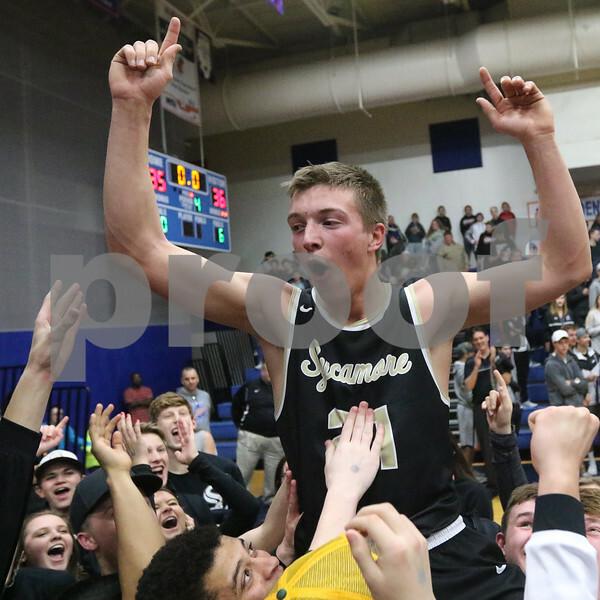 Sycamore's James Marcinkowski is hoisted into the air by the Spartans after their 36-35 win over Belvidere during their boys basketball sectional semifinal on Tuesday, Mar. 7, 2017 at Genoa-Kingston High School in Genoa. Marcinskowski sank two free throws with 0.1 seconds left to give the Spartans the win. They will play in the finals on Friday.